Queen Bed: W71" x D89" x H46"
King Bed: W88" x D89" x H46"
Nightstand: W25" x D17" x H19"
Dresser: W74" x D20" x H31"
Mirror: W42.5" x D2" x H39.5"
Chest: W50" x D41" x H22"
Caprice Italian bedroom set comes in walnut color lacquer finish and crocodile design upholstered pieces. Soft closing drawers on dresser, nightstands and 5 drawers chest. 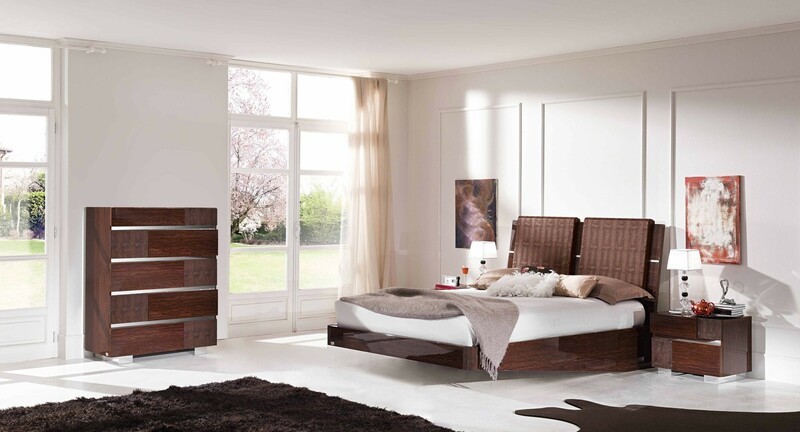 Made in Italy by Status this bedroom set will serve for many years in your home. 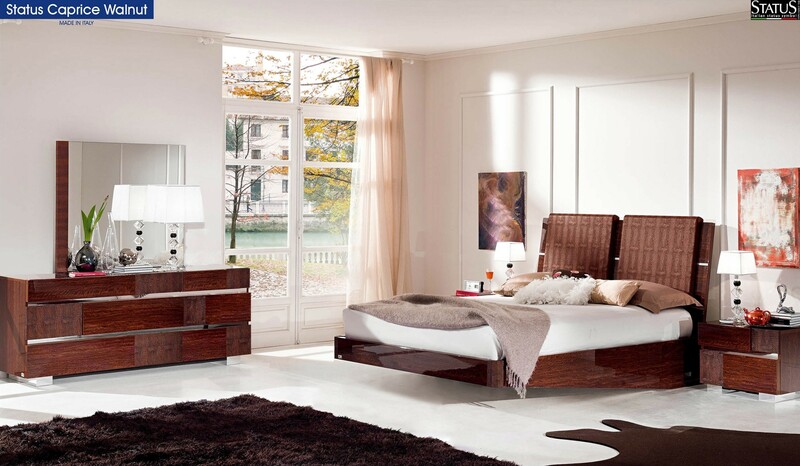 Platform bed does not require box spring and has upholstered headboard. Its modern floating design has strong supports underneath. Modern style Caprice collection is also available in white color.